Our first performance of the year will take place in December. I hope to see you at the concerts! Welcome to the Strings Program! I'm happy to see my returning 5th grade students and all of my new 4th and 5th grade students. I will continue to e-mail parents with important announcements or situations and ask that you continue to contact me through e-mail. 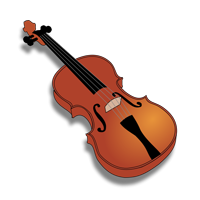 Orchestra has a Google Classroom for students which will feature concert pieces with parts for Violin, Viola and Cello. The classroom link is https://classroom.google.com and the code is jca3hl. Once students log in, they can access the concert pieces AND comment. I prefer that the comments stay on topic, but we do have many students with a sense of humor! The 2018 Holiday Music pieces will be coming in shortly. Students at Bee Meadow School will be using the web-based curriculum, Quaver Music. Parents can access the program at www.quavermusic.com. Students in Grades 3, 4 and 5 will have their own Quaver accounts and will be able to log in 24/7.